Two Democrat lawmakers have called on acting White House Chief of Staff Mick Mulvaney to revoke Jared Kushner's security clearance. In a letter to Mulvaney, Virginia Democratic Rep. Don Beyer and California Rep. Ted Lieu expressed "serious concerns about the implications of granting Jared Kushner a security clearance […] given [his] track record of 'omitting' meetings, relationships and business interests that tie him to foreign officials from his SF-86 clearance application". The two lawmakers also cited an "intentional, concerted effort" to "cover" for Kushner from within the Executive Office of the US President, also singling out what they described as the White House's "pattern of hiding the truth and devious behaviour with regard to Mr. Kushner's security clearance". Separately, the letter referred to the suspension of White House security specialist Tricia Newbold without pay, after filing a discrimination suit against her boss Carl Kline last year. Kline recently became the subject of a scandal around the security clearance given to Kushner. 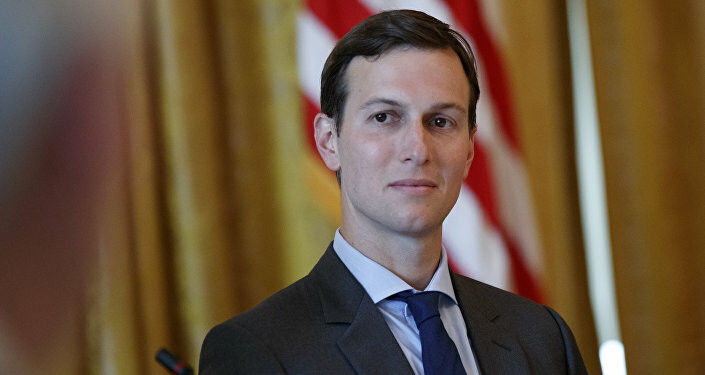 Last month, NBC News reported, citing anonymous sources, that Kline had given Kushner security clearance despite objections from two career White House security specialists, who pointed to concerns raised by FBI background checks. According to one of the sources, Kushner had become "one of at least 30 cases in which Kline overruled career security experts and approved a top secret clearance despite unfavourable information". Trump's son-in-law filed two applications for clearance, which were both rejected, before he was finally granted it. Additionally, the sources claimed that Kushner even tried to gain access to "sensitive compartmented information", or SCI, which includes the US government's most sensitive secrets and is overseen by the CIA. Both the White House and the CIA declined to comment on the matter.